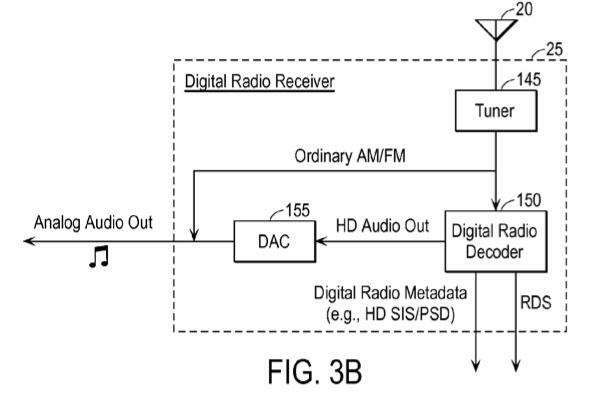 But Apple's new portables could go beyond FM with an HD Radio tuner, allowing full integration with HD Radio —a feature that has been rumored for some time. 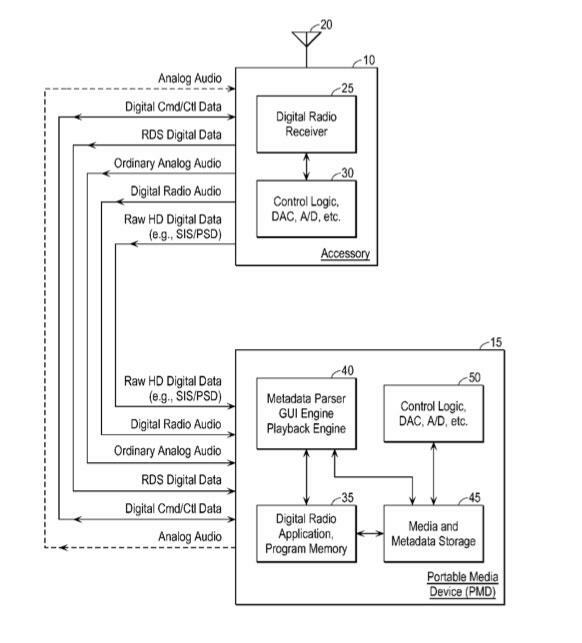 The system describes both an external radio receiver, wirelessly transmitting audio and data to the portable device. It also suggests that such data could be shared with a stereo system in a vehicle. Last November, The Wall Street Journal reported that Apple was in talks with iBiquity to bring HD Radio to future models of the iPhone and iPod touch. At the time, the trademark holder released the Gigaware HD Radio Receiver, a hardware accessory that —along with a free App Store application —allows users to listen to HD Radio broadcasts of local stations.